Hotel Fort Canning's location in a City Park is truly central – to one side is Orchard Road, the main shopping drag and the Champs Elysees of Singapore; to another is the Clarke Quay Entertainment Hub, where myriad bars and restaurants can be found; and yet on another side is the Museums & Civic District, with at least 4 major museums within walking distance! Exit Dhoby Ghaut MRT Station at Exit B, cross Penang Road to Park Mall. 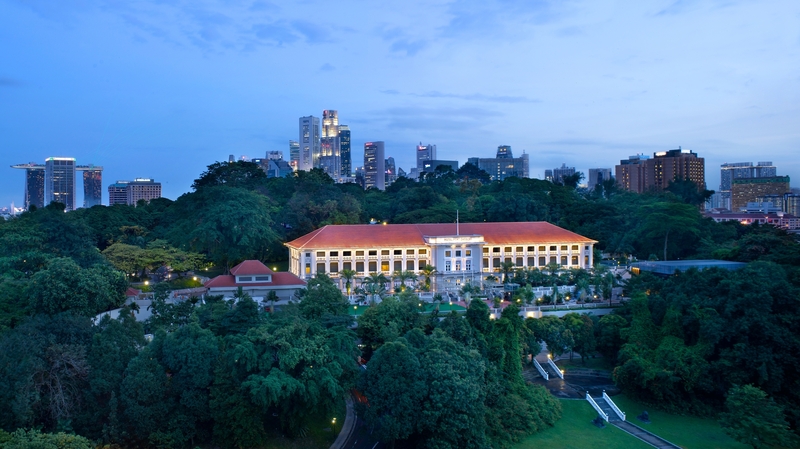 Cross the road and you'll find yourself at the foot of Fort Canning Hill. Alternatively, you may also take the Lift inside the carpark up to Level 2 (Hotel Lobby & Palm Terrace).